Arriving at HOG for departure, I looked at the departure board and saw American Airlines. I did a double take because as natural as it is to see that in YYZ or Mexico, it was a bit of a surprise to see it in Cuba. Yep, flight to Miami. This was the first time I had seen this but it made sense when I reflected on all the families hugging and crying outside the airport. I also noticed that I was asked to change more American money than ever before. Even the attendant behind a counter had fifty US dollars that they wished to exchange for Cuban Convertibles. I did not have that much but would change five pesos or less if asked. Nice to see families getting to visit one another and help each other out. I can only imagine the fun and good times they had when going through Customs on arrival! I was asked to change more American money than ever before. Even the attendant behind a counter had fifty US dollars that they wished to exchange for Cuban Convertibles. I did not have that much but would change five pesos or less if asked. We haven’t changed money for others for years ~ even when we did have enough. We are so tired of being approached, befriended and “groomed” during our vacations to do this, and of repeatedly being asked for things wherever we are ~ we’re taking a break from Cuba this year. Glad for you, that you didn’t have enough. Nobody on our trip asked us for anything - the only time we were asked to change money was at the airport. If our flight had not been delayed with the ensuing kefuffle, I probably would not have changed money, as I would not have had the time. Sometimes I change $ other times I don’t. Depends on if I have any. I am lucky enough to travel - no skin off my teeth if I change 3 bucks into three pesos for the person who cleans the toilets. Yeah, I know there’s an exchange rate difference … but I just thank God I am not cleaning toilets! I have no issues with exchanging loonies or toonies for people, if I have spare Cdn bills or CUCs but US$, not happening. For any scam created there’s always someone who will fall for it. So the AA flights from Miami are for Cuban Americans who can invite their Cuban families to join them at a resort? I’ve just seen reviews that complained about “locals” taking over the hotels. Maybe this is the reason? Could be. I was at PRDO with the Royal Service beach, and suddenly realized I heard the squawking of children. I asked the lifeguard why there were children on an adults-only private beach and he said they were locals who came to play on the beach, and he shrugged like “what can you do?” It was annoying because it was a beach full of quiet adults reading or snoozing. No one was thrilled with the shrieks. Can you recall the name of the hotels where you read the complaints? Last I heard all Cuba’s beaches were public use of anyone who cared to use them kids or otherwise ??? The beaches are public but many of the resorts are far away from towns and children. 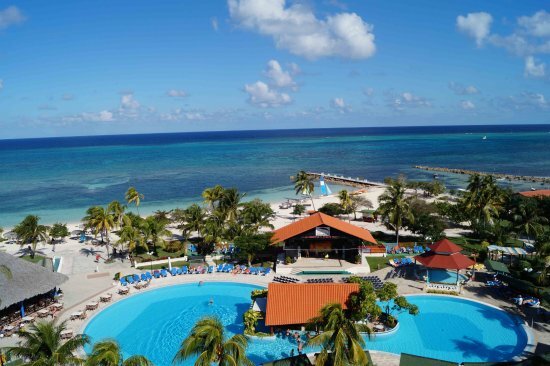 Book Brisas Guardalavaca Hotel, Guardalavaca on TripAdvisor: See 3,584 traveler reviews, 6,543 candid photos, and great deals for Brisas Guardalavaca Hotel, ranked #2 of 3 hotels in Guardalavaca and rated 4 of 5 at TripAdvisor. One of the reasons we decided to try Cuba was that many resorts in Puerto Plata started allowing locals in on weekends. The buffets and a la cartes were suddenly filled with screaming kids and screaming parents and a mess of half eaten food everywhere. It probably sounds racist to some but when you have paid hard earned money to escape this, it is most disconcerting. The resort see this as a way of earning money when they are not full, but in the long run, it’s a costly problem. I’ve also seen a few Cuban families at resorts but I have been told that these are either ‘girlfriends’ or employees who earned the holiday by outstanding work. I have never had issues with any of these circumstances and indeed, the people always seem to keep very quiet and respectful of the other guests. I would draw the line at an ‘adults only’ resort with kids but as stated, in Cuba and many Caribbean countries, the beaches are public. We’ve taken advantage of this a few times by strolling the beach in front of some very ‘exclusive’ and private resorts, just to test the laws. Never had a problem, as long as you stay within the public zone. [quote=@eloisegirl]Could be. I was at PRDO with the Royal Service beach, and suddenly realized I heard the squawking of children. I asked the lifeguard why there were children on an adults-only private beach and he said they were locals who came to play on the beach, and he shrugged like "what can you do?" It was annoying because it was a beach full of quiet adults reading or snoozing. No one was thrilled with the shrieks. A little aggressive…don’t you think so? Resorts sell expectations. She paid the money for adult only. She was surprised. Are you back to Iberostar in Jamaica, jetpilot? I assume that the flight that started this thread was one of the charter flights that have been going to Cuba for as long as i have known. I don’t think anything has changed there. The report linked in the second post refers to the changes announced in October which go into effect the middle of this month. The reference to the “almost impossible to attain exit visa” and interviewing a US-government funded propaganda mouthpiece (Jaime Suchlicki) indicate the bias of that report, though at least they mention the issue of Cubans getting visas to visit other countries. Only that we hadn’t seen the HOG destination before. Have you?